What do you know about The Dowery? And this time it is Andrew asking website visitors . . . ! IT IS normally Andrew giving information after a visitor to "A Dabber's Nantwich" website has asked a question. Here, Andrew is seeking the help of website visitors after finding himself in need of information. 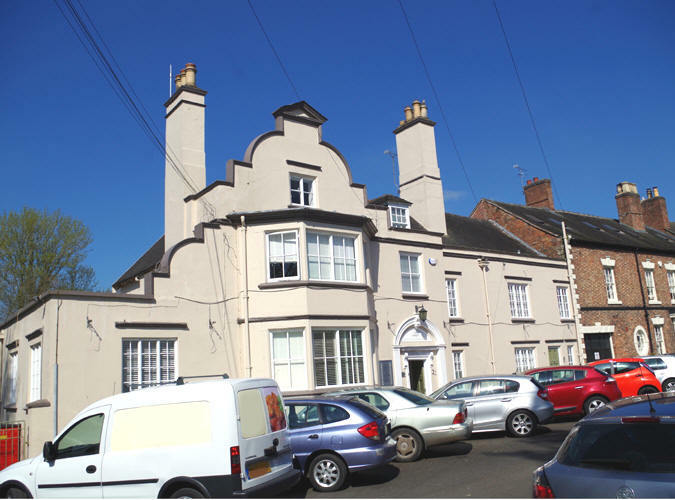 Andrew writes: “I have been asked about the history of The Dowery, in Barker Street, Nantwich. I have some . . . Among other things, I remember being weighed at the clinic there when I was around five years old which would be around 1950. "The clinic ran from at least the mid 1930s up to at least 1972 and I would like to find out more about it. Health Service, which didn’t come in until 1948. I know that Mr Sheasby, the school dentist, was based there. "I haven’t found out why it is called The Dowery. Certainly the historian, James Hall, who wrote a History of Nantwich, never mentions the name, so I think it is a late naming." More recently, Cooper Taylor accountants operated from The Dowery. It is now occupied by a firm of solicitors. Do any website visitors have any reminiscences of the clinic at The Dowery or The Dowery itself? We would love to hear about them. Members of staff of The Dowery pose for a picture at the rear of the building around 1940. Note the ornate gatepost in the background, right. 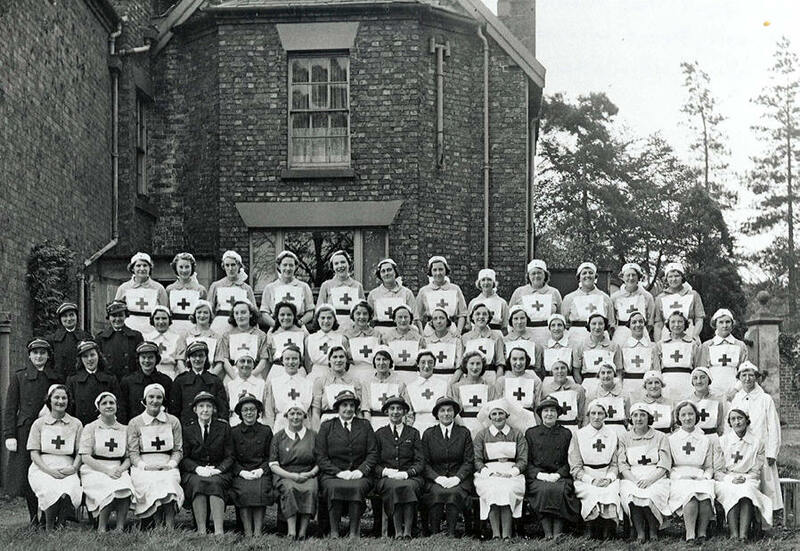 There are 60 nursing personnel pictured and we can name two. second row from the back. The picture is from Andrew's personal collection. 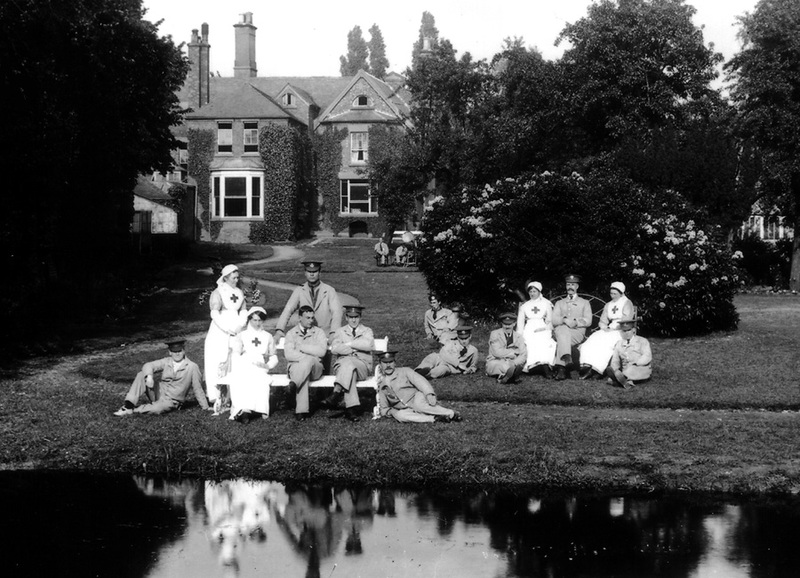 Left and below: convalescing soldiers and their nurses in the rear garden of The Dowery during the First World War. In the foreground is the River Weaver - at different levels in different seasons. The river still flows past the building, although The Waterlode - the town's inner ring road - has been constructed between the garden and the river since the pictures were taken. A modern image of the front of The Dowery. The late 17th century building has a Dutch gable as a feature of its rendered front. 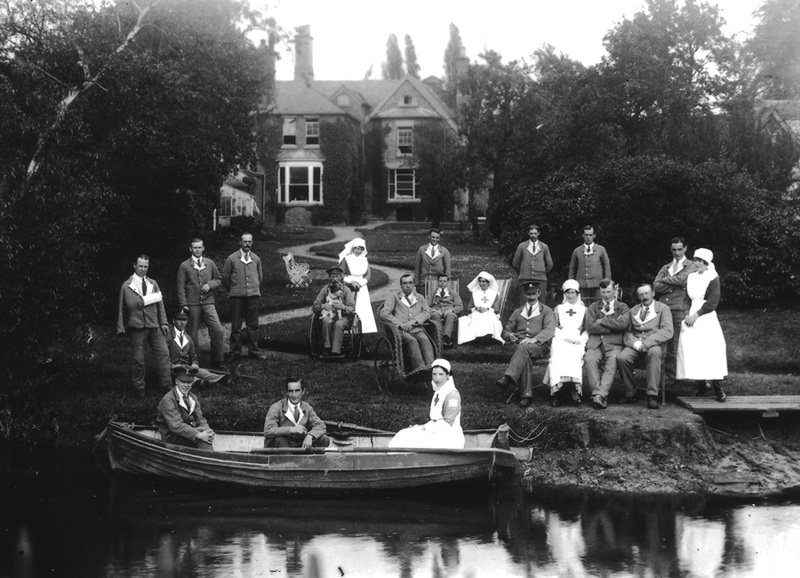 the soldiers and nurses are pictured.